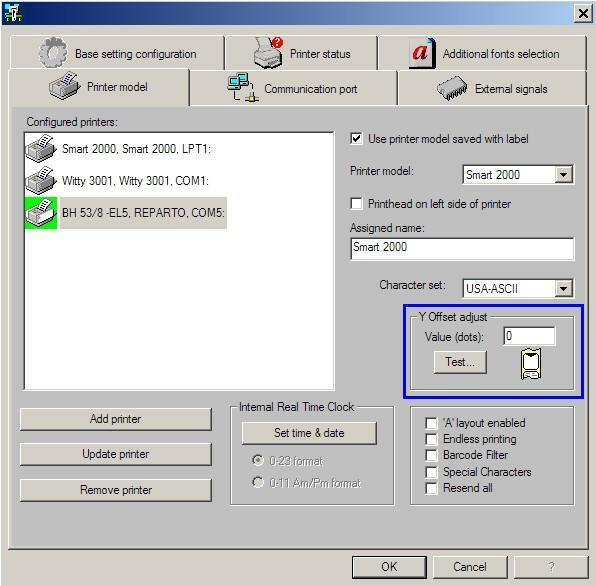 The Test Label lists a series of information relative to the Printer and the operating settings at power-on. How to print a Test- Label?? - Turn-on the Printer and wait the reaching of normal operating mode ("Stand-By"). 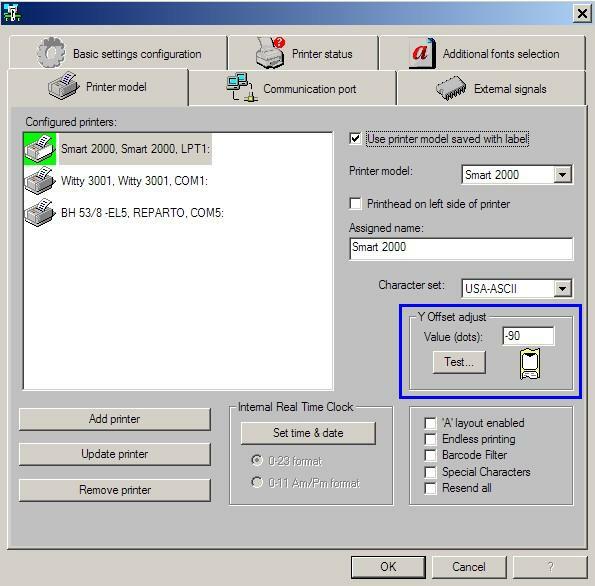 "ADC" parameters represent the values detected by the internal sensors at Printer's power-on. Problems on printing Test Label?? The Test Label is stored into the Printer and has a default physical length. If this length exceeds that of a single label, it's ejected a number of labels suitable to entirely print the Test Label. The Test Label is printed with a Complete Printing Cycle, just like any other label. So the Test Label should be printed after disabling the "Application Cycle"!! The "GAP"("Y Offset") parameter sets the end print Labels stop point. since it determines the position where the Print Head can start to write on the Label. The condition to have an optimal Labels Peeling is obtained by setting as ZERO the "GAP"("Y Offset") parameter. 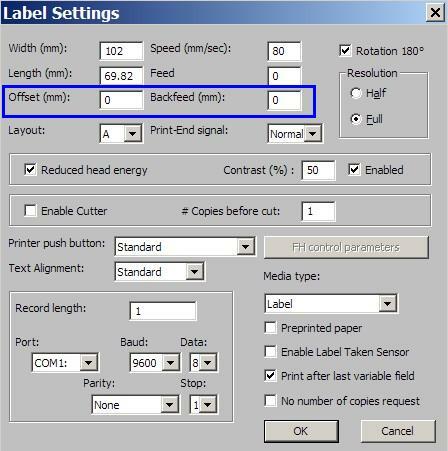 layout management of the Label is possible by properly adjusting "Offset" and "Backfeed" parameters.